International Workers’ Day, also known as Labour Day, an annual celebration of workers and their achievements, originated during one of American labor history’s most dismal chapters. In Iran this comes as the U.S. Congress passed New Legislation (H.R.4744 Act) Seeking Justice for the Victims Of the 1988 Massacre and holding the Iranian regime accountable for its brutality. Thousands of workers in different cities in Iran marched peacefully to take back their rights from the Iranian authorities. Thousands of workers in Tehran, the capital of Iran, gathered in front of the Parliament and then began marching. In the midst of tight suppression brought down on the demonstrators by the security forces in Tehran, one lady read out a statement on behalf of the workers in support to their rights and against the mullah’s policies over the workers. The gathering and rally of workers on International Workers’ Day, accompanied by the people of Saghez, in Kurdistan Province west of Iran, was attacked by the repressive forces. A number of protesters were arrested. In Isfahan, one of the main cities in Iran, retired workers of the Steel Company marched to protest their living conditions and poverty. As well as to protest the Iranian authorities not dealing with this condition. 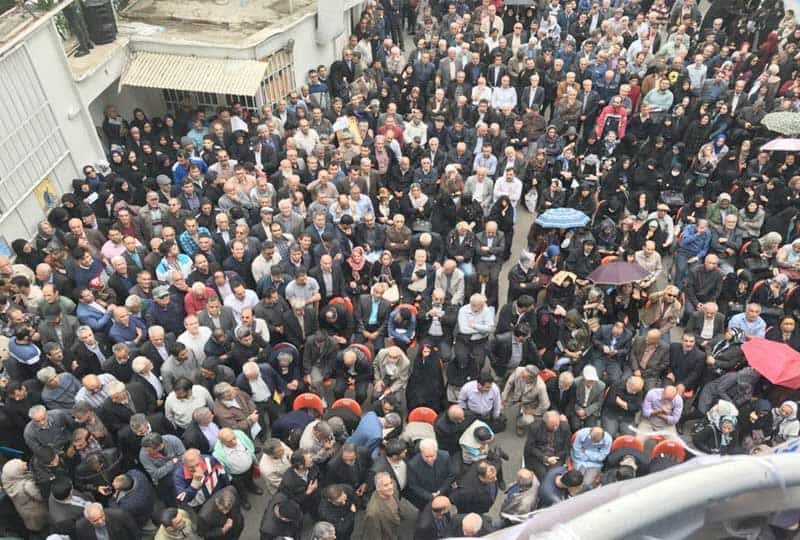 The Iranian regime’s Intelligence Ministry in Sanandaj city summoned a few of the workers’ leaders and warned them to not hold the Workers’ Day ceremony. They wanted to stop any demonstration taking place. Hungry Iranian workers on International Workers’ Day. Last year in Iran there were more than 2000 labor movements, including strikes, demonstrations and protests. In Iran where the mullah’s rule, workers have no social security. This is because no labor law supports them, unlike the democratic countries. According to officials from the Ministry of Labor in Iran, more than 93% of workers are working as temporary contractors. Meaning that they do not fall under the labor laws and can simply be expelled from factories. It is noteworthy that the most important and economical manufacturing companies are in the hands of the Revolutionary Guards. These companies make workers work with maximum pressure and suppression. But when it comes to the workers requiring their wages, they are immediately expelled, suppress and arrested.